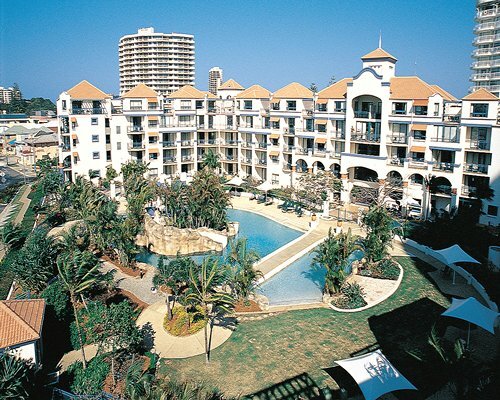 Located on Australia's fabulous Gold Coast, Mango Tree at Calypso is close to beautiful Coolangatta-Greenmount Beach. You can walk to coffee shops, cinemas, fashion boutiques and licensed clubs. Coolangatta airport is only 10 minutes away. Jupiters Casino is just 25 minutes away to the north and there is a selection of golf courses within a 10 minute drive. Less than an hour away from Seaworld, Dreamworld and Movieworld themeparks. Twin Towns RSL is close by and is one of the best licensed clubs in Australia offering live entertainment, dining, dancing and poker machines. The nearest international airport is in Brisbane 1 and 1/2 hours away. From the airport, take Highway 1 south to Coolangatta. Follow the road and turn left into Griffith street and continue for approximately 500 metres. The resort is on the left. 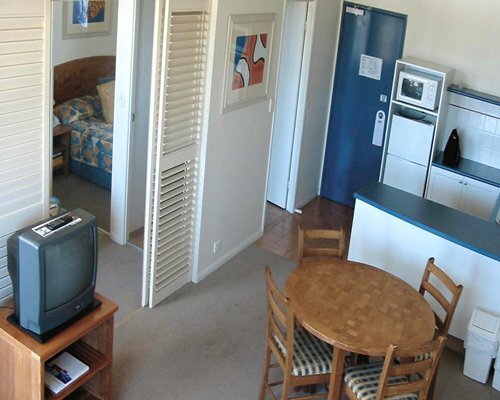 Guests can also fly into Coolangatta airport about 2kms away. Please note the main resort complex is called 'Calypso Plaza'.